The Congressional Report on China demands the Chinese Government to respect civil and cultural rights of Tibetans and openly disapproves the development plan, which would lead to further exploitation of environment and natural resources in the region. 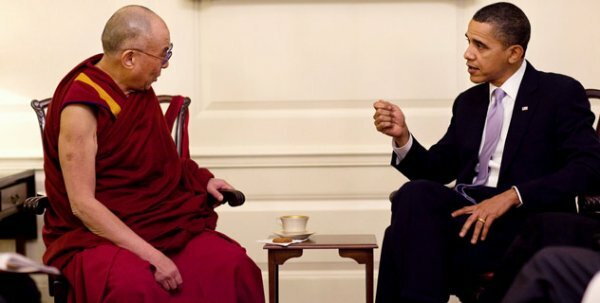 The US government urges the Chinese government to hold substantive dialogue with His Holiness the Dalai Lama or his representatives on protecting Tibetan culture, language, religion, and heritage in Tibet, the US Congressional-Executive Commission on China said in its 2010 annual report which was released on 16 October . “A Chinese government decision to engage in such dialogue can result in a durable and mutually beneficial outcome for Chinese and Tibetans, and improve the outlook for local and regional security in coming decades,” the commission said. The commission expresses its disapproval of the development plans outlined in the Fifth Forum on Tibet, such as building major infrastructure projects, increasing natural resource exploitation, and compulsory settlement of nomadic herders and resettlement of farmers. “Government and Party economic development objectives for 2010 – 2020 principally focus on accelerating and strengthening a development model that subordinates respecting and protecting Tibetan culture to Party and government priorities,” the report said. It “encourages the Chinese government to maximize benefits to Tibetans resulting from the Fifth Tibet Work Forum by fully taking into account the views and preferences of Tibetans when planning infrastructure and natural resource development projects in Tibet”. The Chinese government was also “encouraged to engage appropriate experts in assessing the impact of infrastructure and natural resource development projects, and in advising the government on the implementation, progress, and impact of such projects”. It calls on the Chinese government to refrain from using the security establishment, courts and law in repressing Tibetans' rights to freedom of speech, religion, association, and assembly as enshrined in China's Constitution. The commission calls on the US administration to raise in meetings and correspondence with Chinese officials the cases of Tibetans who are imprisoned as punishment for the peaceful exercise of human rights. The report documents the policies of Chinese government and Communist Party to diminish His Holiness the Dalai Lama's international influence and isolate him from Tibetans living in Tibet. “The results of such government policies could include further increases of human rights abuses of Tibetans concurrent with a decrease in the ability of the international community to detect, document, and respond to such abuses,” it said. Senator Byron Dorgan, Chairman and Representative Sander Levin, Cochairman of the Commission, said: "We are deeply concerned, as the findings of this annual report make clear, that human rights conditions in China over the last year have deteriorated." The report documents new trends in political imprisonment over the last year in China, including an increasingly harsh crackdown on lawyers and those who have a track record of human rights advocacy, particularly those who make use of the Internet or who are from parts of the country the government deems to be politically sensitive, such as Tibetan areas and Xinjiang. The Congressional-Executive Commission on China, established by the US-China Relations Act of 2000 as China prepared to enter the World Trade Organisation (WTO), is mandated by law to monitor human rights, including worker rights, and the development of the rule of law in China.